Hard cooked cheeses are the largest in size of all cheese and also have the lowest moisture content, because of the lower moisture content they also last the longest. 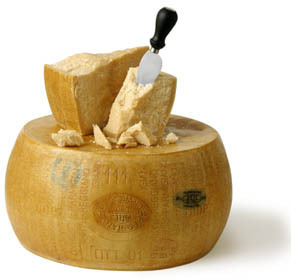 There are two types of hard cooked cheeses; granular and smooth. Granular hard cooked cheeses are produced by cutting the curds finely and then cooking and scalding at a high temperature. Smooth hard cooked cheeses have a more elastic, pliable texture as the curds are not cut as small therefor less moisture is forced out. Don’t limit Parmigianno to your pasta, it is beautiful as a starter with balsamic vinegar or shaved over salad!